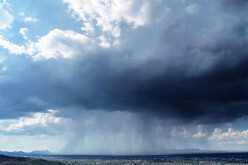 Rare ‘Wet Microburst’ Caught on Camera in Stunning Time-lapse Photography! Now This Is A Destination Wedding… An 8.2-Mile Hike And Over A 4,500-Feet-High Climb! Watch These Dare Devil SpeedFliers Play “Follow The Leader” In The Skies Above Switzerland!